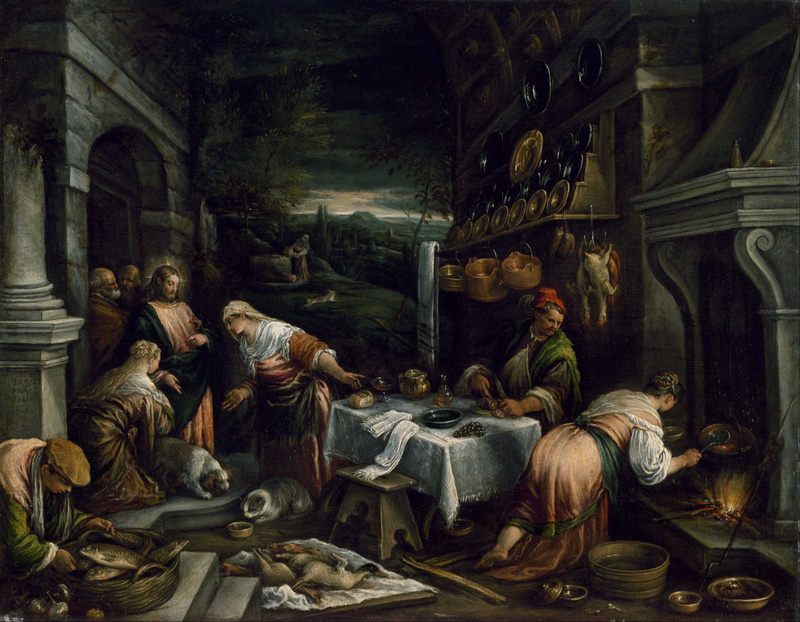 Today is the feast day of Martha of Bethany, as well as of her brother Lazarus of Bethany. I am going to focus on Martha today. 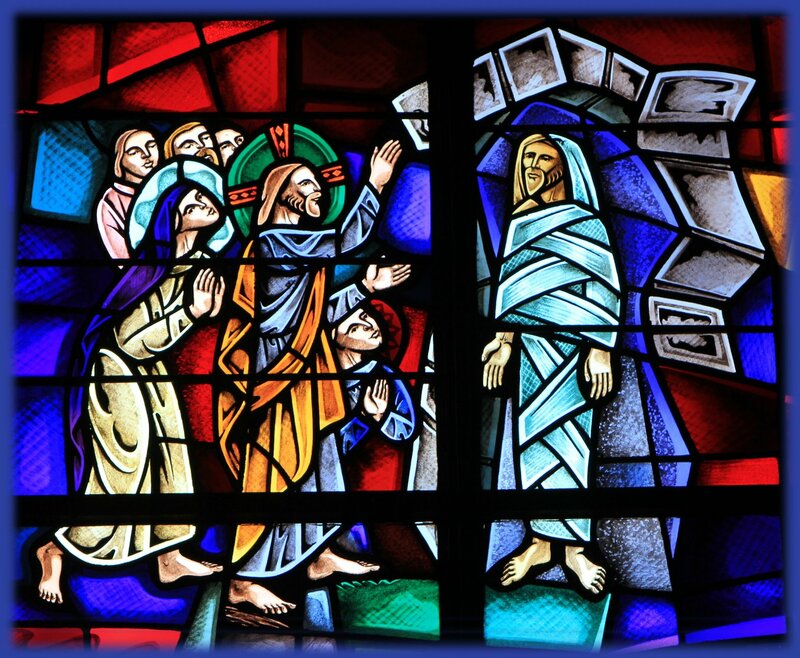 Next year on this date, Deo volente, I’ll give you the story of Lazarus. Martha appears in three well known stories, one in Luke’s gospel and two in John’s. She appears to have been one of many women (along with brother Lazarus and sister Mary) who housed and cared for Jesus and the apostles when they visited Jerusalem, perhaps, in particular, on his last visit at Passover when he was crucified. During the day Jesus preached to large crowds in Jerusalem, but at night he retired to the countryside for some quiet time away from the press of people. Bethany (modern al-Eizariya) is about 2.4 km from old Jerusalem on the south-eastern slope of the Mount of Olives. 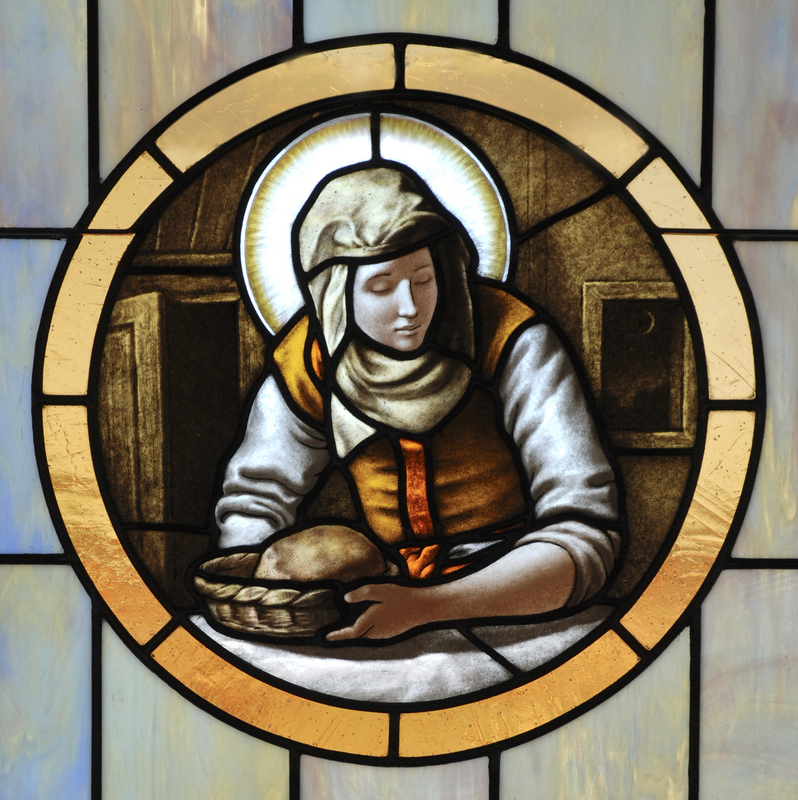 Martha’s sister Mary has often been thought to be Mary Magdalene (see post July 22), but this association is spurious. Mary Magdalene was from Magdala in Galilee. Some commentators have given tortured justifications for the association, but they are far-fetched at best. I wonder how many tens of thousands of sermons have been preached on this passage. I never have because I am not quite sure what to make of it. Obviously the underlying message is that kitchen duties are necessary, but spiritual things should come first. There is also an implicit message that women need not be confined to “women’s work” but are equally important as spiritual disciples. This is not a minor point. But I’ve always felt badly for Martha who was trying to help in her own way. We all serve in our own ways — and besides, cooking can be spiritual too. Because of this tale Martha is the matron saint of butlers, cooks, dieticians, domestic servants, homemakers, hotel-keepers, housemaids, housewives, waiters, and waitresses, among others. 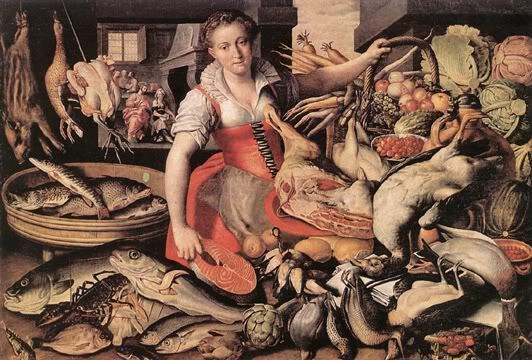 Martha became the subject of Christian legends recorded in the 13th century work The Golden Legend. According to one legend, she left Palestine after Jesus’ death, around 48, and went to Provence with her sister Mary and her brother Lazarus. Martha first settled in Avignon, then went to Tarascon. At the time the tarasque inhabited the area of Tarascon (near Marseilles), and devastated the landscape far and wide. The tarasque was a sort of female dragon with six short legs like a bear’s, an ox-like body covered with a spiked turtle shell, and a scaly tail that ended in a scorpion sting. She had a lion’s head, horse’s ears, and the face of a bitter old man. 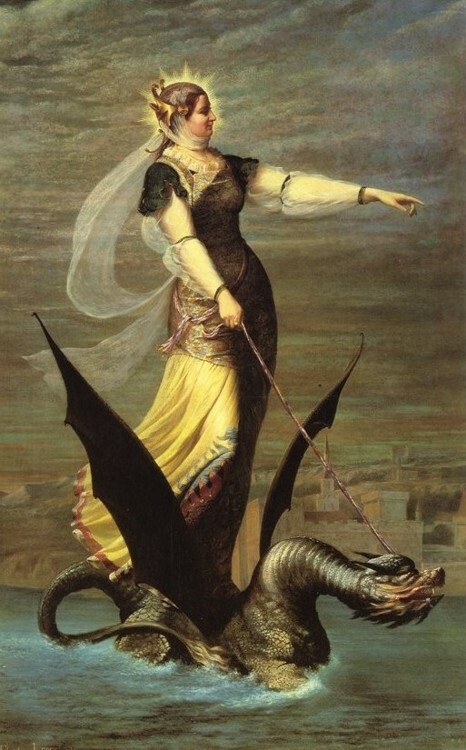 Martha tamed the dragon by showering it with holy water and showing it the cross. She brought the tamed dragon into town on a leash made from her girdle, but the townspeople killed it. 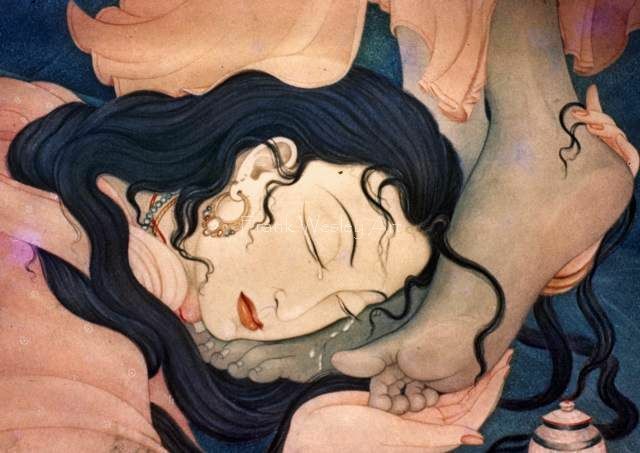 Martha wept for the dragon but forgave them because they had suffered so long. Martha is the matron saint of Tarascon which was named after the dragon, as was the herb tarragon. In honor of Martha and the tarasque it seems fitting to give a recipe using tarragon, one of my favorite herbs. You can buy it dried, but it really is quite inferior to the fresh herb. In the past when I had a herb garden I always made sure to have tarragon in it. If you want to grow it make sure you get French tarragon. There is a version called Russian tarragon which will do in a pinch but does not have the rich complexity of French tarragon. 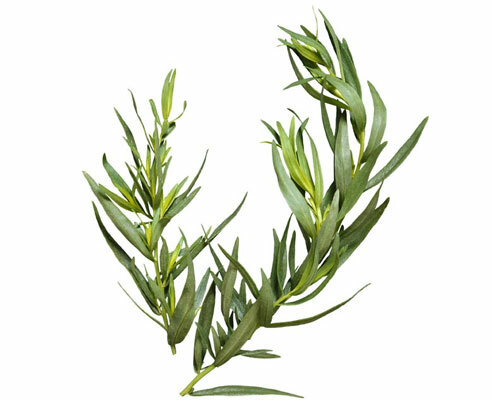 Tarragon is one of the four fines herbes of the French culinary tradition. It goes especially well with chicken (and fish), so here is one of my favorite recipes. 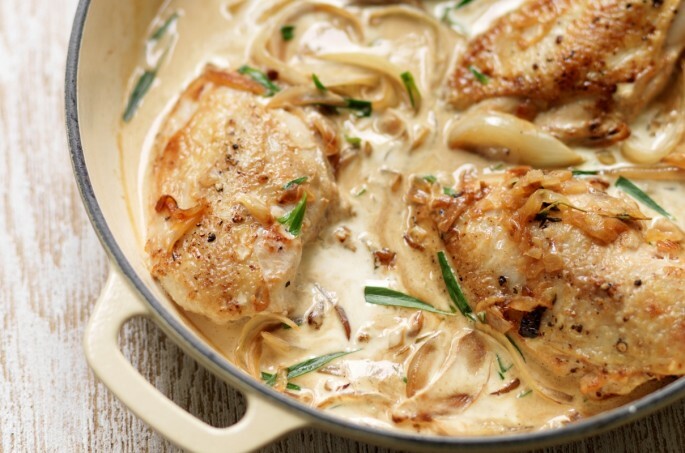 Heat the garlic oil and butter in a heavy skillet with a lid in which the chicken breasts will fit. Add the green onions and ½ tspn of tarragon and cook them in the oil and butter for a minute, stirring as they cook. Put the chicken fillets into the pan, and brown quickly on both sides. Push the green onions to the side if they start to burn (or place them on the fillets). Add the vermouth (or white wine). Let the vermouth bubble up, then add the salt. Put the lid on, turn the heat down low and leave it to simmer gently for 10 minutes. Check the chicken is cooked through by making a small cut into the thickest part and ensuring the juices run clear. If not, simmer for a few minutes longer and check again. Remove the chicken breasts to warmed plates. Bring the remaining liquid to a boil, add the cream and stir well, then sprinkle in the remaining 2 tspns of tarragon. Stir again and give a good grind of white pepper. Hello, happened upon your blog while searching for scripture verses. God Bless. Thanks. God bless too. I hope you will explore the site and maybe even tell a friend or two? If Martha had chosen the “better part” everyone would have gone hungry; I bet there would have been complaints from the Disciples then! Love the idea of this blog, which I just stumbled upon while looking up the Martha and the dragon story. I’m going to read more now. Glad to see my SEO is doing its job. Don’t forget to tell your friends about the blog.